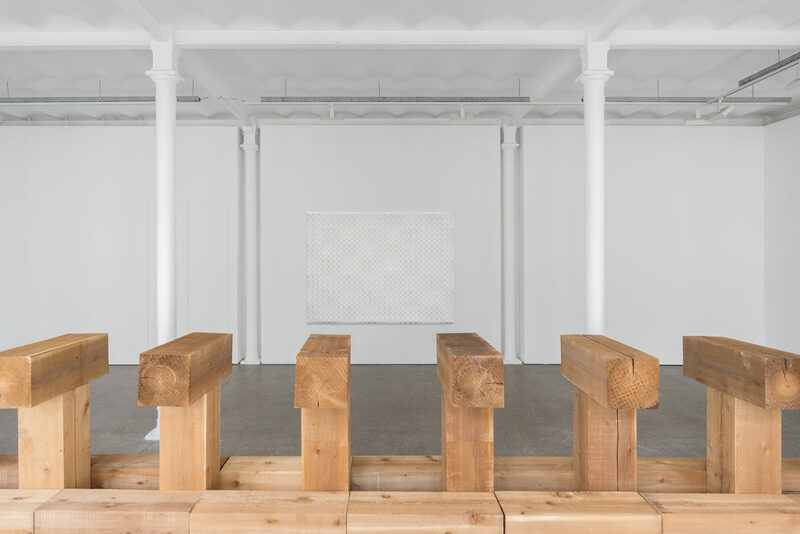 This exhibition shows one monumental work by Carl Andre: THEBES. 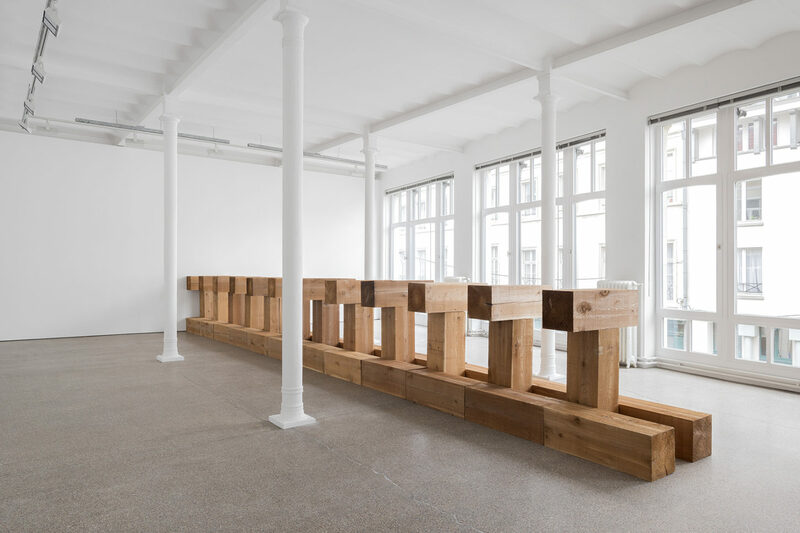 Made out of Western red cedar wood in 2003, the work measures 120 x 90 x 1080 cm and exists out of 48 timbers, one row of 12 vertical timbers mounting one traverse horizontal tee timber each, flanked at base by two parallel rows of 12 horizontal timbers all based on the floor. The artist uses the pieces of wood in the form of modules with standardised dimensions. As with all his sculptures the elements are connected to the ground in three ways: stacked, spread flat either on a grid or contiguously. 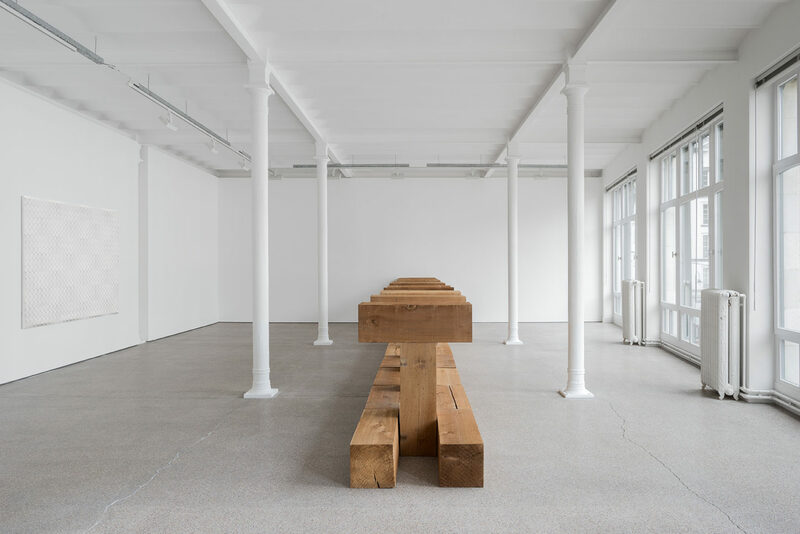 By ways of stacking the work demands a physical involvement of the viewer, walking past the work gives you a sense of its mass, length, volume and even the smell of the cedar wood. 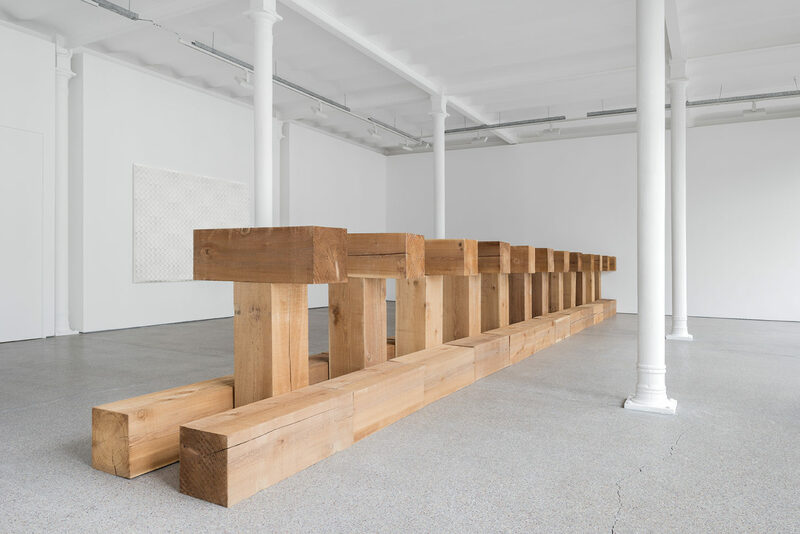 Carl Andre was one of the founders of the art movement known as Minimal, Systemic or ABC Art. It is an art that seeks to eliminate everything decorative, extraneous and additive, reducing all components to art’s purest elements. The movement included artists from his generation such as Donald Judd, Sol LeWitt, Dan Flavin, Eva Hesse and Robert Morris. Carl distanced sculpture from processes of carving, modelling or constructing to simply involve sorting and placing. The artist has described his works as ‘something between a piece of architectural sculpture and a carpet’. He began making his first wooden sculptures in the late fifties, inspired by Constantin Brancusi. 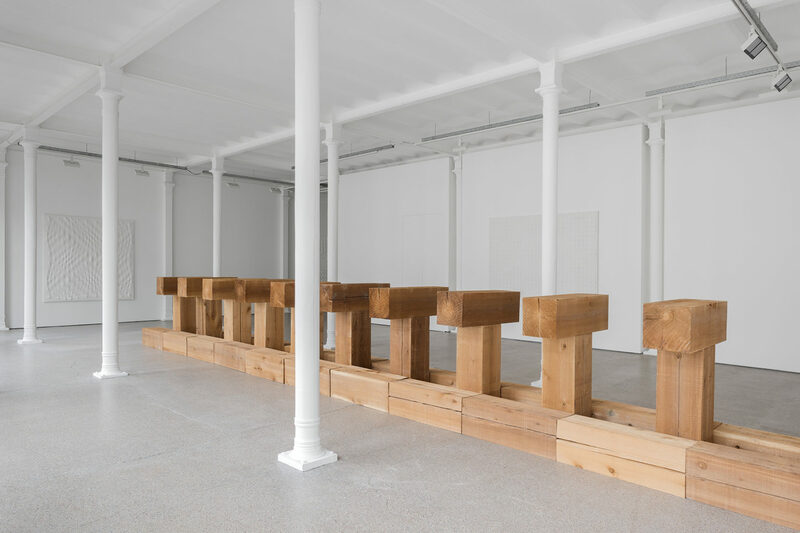 The work Endless Column by Brancusi made a particular impression on Carl Andre. He saw the work pushing through the boundaries of sculpture and the infinite without losing the union with earth through the vertical repetition of identical modules. 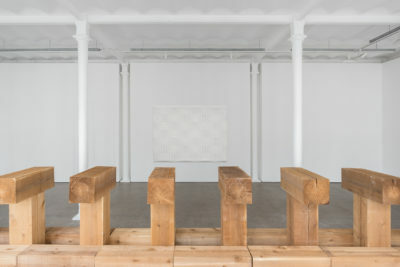 These are elements we can recognise in the exhibited work THEBES, the horizontal repetition of the modules, connected closely to the scale and proportions of its immediate surrounding.